The idea of this gigantic salon is to celebrate, in a fun and friendly way, French culinary savoir-faire in all its forms. One way this is accomplished is by having great chefs demonstrating their skills and giving you the opportunity to taste their creations in their pop-up restaurants. Another is by providing food producers and artisans with a showcase for their goods. All these passionate people will help you discover not only their products but also their methods and commitment. What’s more, a series of workshops give you the chance to get hands-on. When you stay at the Hotel Doisy Etoile, you’ll be close to the most beautiful parts of Paris, including the famous Avenue des Champs-Elysées. So, in about fifteen minutes, you can reach the architectural splendour of the Grand Palais, which from May 9th to 12th, 2019, will be the venue for Taste of Paris. To avoid the queues, we advise you to buy your tickets online from the event website. Once you’re at the event, it’s time to focus only on the pleasures of the eyes and taste buds! 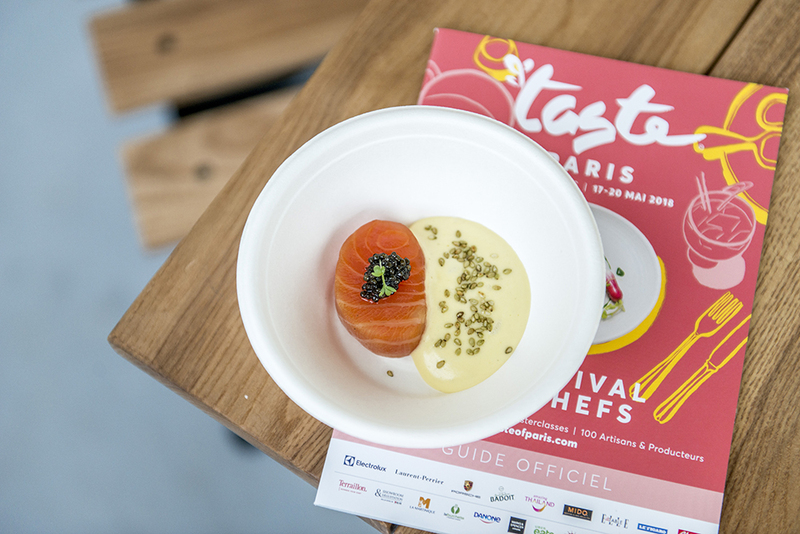 Taste of Paris is a dynamic event celebrating not only good eating but also the pleasure of sharing and enjoying high quality products. Don’t miss this family-friendly foodie festival!